Chef Ken Simon from Simply Simon's Cheesecakes, originally uploaded by ditzlerphoto. 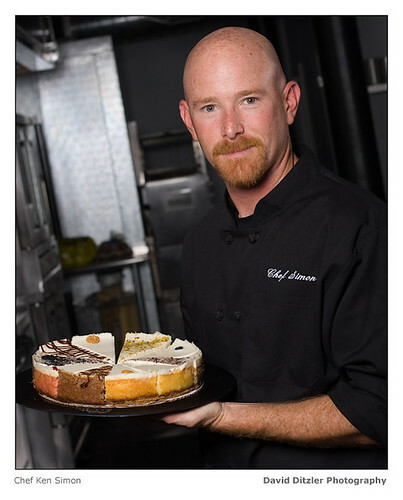 A photo of Chef Ken Simon from Simply Simon's Cheesecakes shot in is kitchen in Chicago. To see photos of his cheesecakes go to http://www.ditzlerphoto.com/chicago-food-photography/simply-simons-cheesecakes/ or http://www.chicagofoodphotograpy.com. Photo by David Ditzler www.ditzlerphoto.com.